His streak of murder case acquittals made him a regular on cable talk shows. His recent $22 million inheritance bought him a dog rescue operation named the Tara Foundation after his own beloved golden retriever. Yet after turning down cases left and right, Andy Carpenter thinks he's facing a midlife crisis. ©2004 David Rosenfelt (P)2004 Listen & Live Audio, Inc. I love the Andy Carpenter character and this book didn't disappoint. HOWEVER, the abridged version made the storyline seem choppy and the flow of events abrupt. At times, an event will take place that seems completely out of context but changes the entire storeline. . . obviously the missing pieces were too important to cut out. I loved this book! Andy Carpenter is so funny. Sometimes I wonder if he is related to my family. What a card! 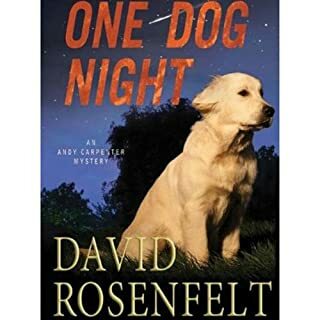 The book is a good mystery and just an overall upbeat read. 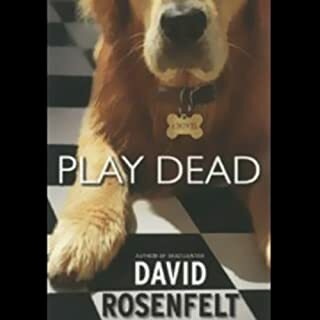 If you don't want any more tension in your life, just a good time, with a good mystery then you should enjoy this book. Bury the Lead is fun to listen to. 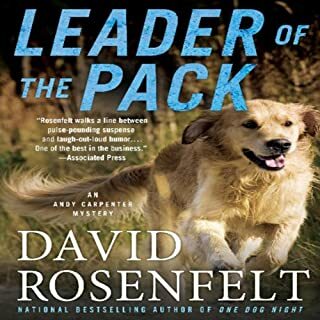 I throughly enjoyed this from start to finish - it helped that I am a golden retriever lover, but also I really enjoyed Andy's sense of humor and the characters in the book. Easy to listen to - keeps your interest - interesting - and funny! I actually have listened to the whole series-- very witty and extremely well written. I originally listened to the first one to see if my dad ( he is a widower) would listen to them while he puttered around his house. This is a great series. I love that this character stays "true" through through the entire series. The personality of the main characters pulls you so strongly into the story that you find yourself wishing that you actually know someone like him. 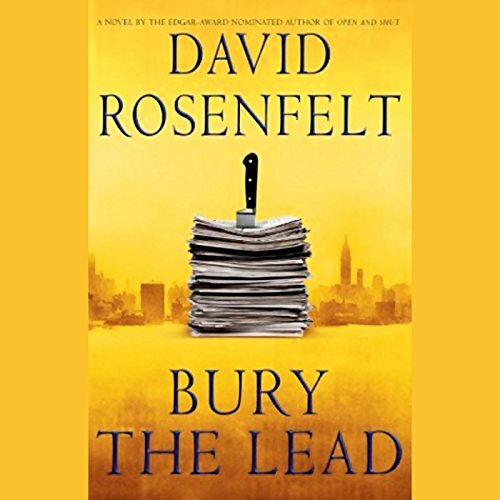 The "lawyering" of the story stays light as does the plot so this is kind of an easy listener-- there isn't a lot of blood and guts so if that is what you want- look elsewhere. Overall, you get a funny story with a great dialog and a pretty good plot. Good plot. Different in its presentation/ Very well narated. Lets have more audios like this book. This is a terrific story by an author who is both funny and a fine storyteller. Whoever made the decision to abridge this book needs to find another job. 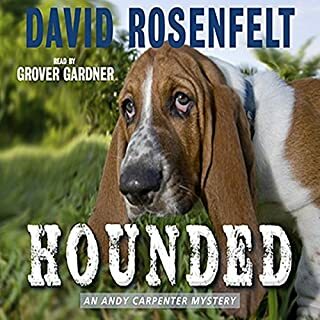 Another great mystery by David Rosenfelt. I found it entertaining with an interesting plot and as always, very likeable characters. Love the witty/humorous dialog. I was upset that this audio is only available in an abridged version. Still, a good listen. This is a good book in most ways. But the music between chapters almost made me decide to stop listening to it. It is maddening. There is a little musical interlude (in itself unnecessary and jarring) but the thing repeats itself each time. So it's a double interlude. Way to ruin an otherwise fine story. 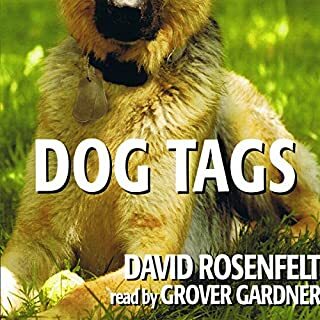 Really good narration--but try to find a version without the musical chapter breaks. A definite read/listen. Most excellent work that made it difficult to leave the car! I ended up putting it on my iPod and carrying it around until I finished it! This is a fun read. Rosenfelt writes chuckle-out-loud commentary. The protagonist is a lawyer/detective who teams up with an ex-policewoman (attractive, of course.) 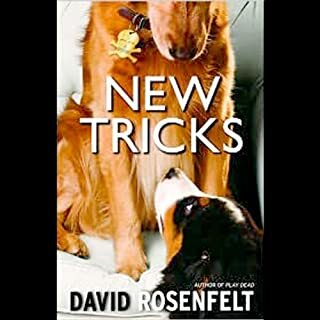 I recommend all three of Rosenfelt's books, in chronological order.